Who says it is too hot to eat a soup in summer? 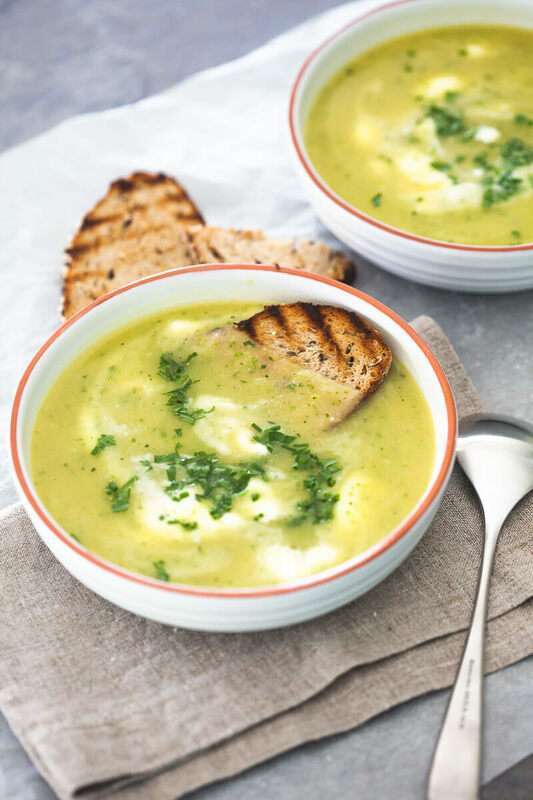 Using fresh and tender ingredients this smooth Zucchini Soup can be done in just 15 minutes! Wash and dice zucchini. Peel onions, garlic cloves, carrot and potato. Slice onion and garlic cloves, dice potato and grate carrot. In a soup pot heat a spoon of olive oil, then add onions and stir-fry until translucent. Add garlic, carrots and potatoes and stir-fry for about a minute, then pour in about half of the vegetable stock, bring to a boil, then reduce heat and let it simmer for about 10-15 minutes, or until the potatoes are almost cooked. Then, add in diced zucchini, the remaining stock, season to taste with salt and pepper and let it cook another 5 minutes, so the zucchini get tender, but not overcooked. Remove from heat and blend into a smooth soup with a stick blender. Then add in chopped fresh herbs, pour into bowls and add a teaspoon of sour cream into each bowl. Serve hot.